Fructose is a simple sugar found naturally in food. It's sweeter, dissolves more easily, and less glucogenic (less apt to produce glucose) than other sugars, such as glucose and sucrose. While it has been recommended as a sugar replacement for diabetics and obese individuals, its use is controversial due to possible adverse effects. Crystalline fructose comes from processing corn or sugar, and is about 1.2 times sweeter than table sugar. It's pure fructose in crystalline form. 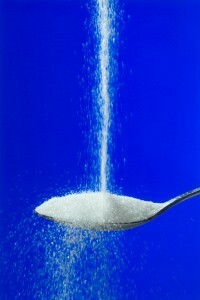 Crystalline fructose was originally marketed as a health supplement but is now used as a sweetener in foods and drinks. It helps improve food's taste, texture, aroma, and stability. Introduced in the 1970s to the food industry as a substitute for sucrose (table sugar), high-fructose corn syrup is made up of either 55% or 42% fructose. The rest is glucose and other sugars. Corn undergoes wet milling, which separates the starch from the protein, oils, and fiber. The rise in obesity has coincided with the increased consumption of products containing fructose and high-fructose corn syrup. From there, the starch is further processed to produce high-fructose corn syrup. It's a popular sweetener with food manufacturers because it's easy to use, cheaper, sweeter than other sugars, and stable. In 2007, the average person took in about 56 pounds of this sweetener, mostly from beverages. Daily consumption has jumped from 2 calories to 165 calories in the last 40 years. [1,2,11,17] Although high-fructose corn syrup is controversial, there isn't enough evidence to label it as any less healthy than other sugars at this time. The Bitter Truth about "Fructose without the Fiber"
An incredible video to watch regarding the dangers of fructose-based sugars is a presentation known as "Sugar, the Bitter Truth," by Dr. Robert H. Lustig. Natural sources of fructose include fruits (raisins, apples, pears), vegetables (cucumbers), juices, and honey. Table sugar also contains fructose. It's used by food and beverage manufacturers in products such as cookies, juice concentrate, baby food, and nutrition bars. Crystalline fructose is used in many products as well, including energy drinks, chocolate milk, breakfast cereals, and yogurt. High-fructose corn syrup is added to processed foods, baked goods, canned fruit, flavored syrups, jellies, and carbonated beverages. Women should consume a maximum of 100 calories (about 6 teaspoons), and men 150 calories (about 9 teaspoons), from added sugar, regardless of type. Research suggests that fructose may influence how much food you eat, causing you to eat more compared to glucose. Consuming glucose increases satiety hormones, while consuming fructose spurs a less marked response. While not a proven cause of obesity, fructose intake may be a contributing factor in concert with environment, psychological state, and genes. The rise in obesity has coincided with the increased consumption of products containing fructose and high-fructose corn syrup. But, there is just as much fructose in table sugar as there is in high-fructose corn syrup, so future studies need to focus on the specific potential dangers of high-fructose corn syrup and its role in obesity. Excessive intake of fats, carbohydrates, and proteins—any food, really-- all contribute to weight gain. 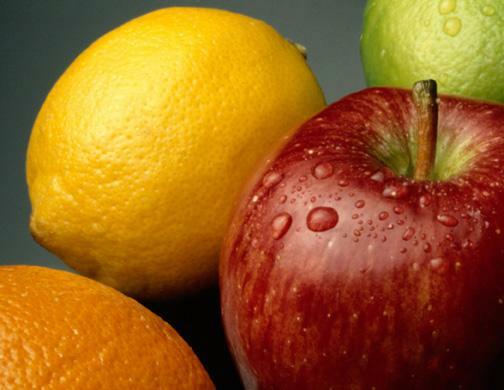 To help prevent obesity associated with fructose intake, eat fruit rather than sweets. Fructose can improve exercise performance by boosting fluid and solute absorption as well as external carbohydrate oxidation. Regular training and the major energy use involved may protect athletes from adverse metabolic reactions from regularly consuming elevated doses of fructose. More research is needed, however, to show the adverse effects of fructose. Two conditions involving intolerance are hereditary fructose intolerance and fructose malabsorption. This is a rare genetic disorder involving a lack of the protein that helps digest fructose. The body can't convert stored energy (glycogen) into glucose, so blood sugar levels drop and toxins build up in the liver. It can lead to kidney or liver damage. Symptoms show up when your baby starts on food or formula, and include convulsions, excessive sleepiness, vomiting, and problems associated with eating fruit. Blood and other tests are used to diagnose the problem. Treatment includes omitting fructose and sucrose from your diet and and treating the symptoms. Possible problems associated with hereditary fructose intolerance include gout, bleeding, and seizures. This disorder causes difficulty in fructose digestion, but doesn't involve liver and kidney damage. Symptoms are bloating, gas, diarrhea, and abdominal pain. Consult a registered dietician for a complete list and information about meal planning. Nutritionists prefer fructose over table sugar, especially for those with diabetes mellitus since it doesn't readily interfere with glucose regulation. Fructose may be involved in the formation of toxins that advance the aging process, complications of diabetes, and atherosclerosis. Fructose has been linked to chronic diarrhea and other bowel problems. Fructose has been implicated in the rise of obesity, diabetes, and liver disease. Fructose can cause elevated blood pressure, uric acid, and lactic acid. Effects of fructose depend on how much is ingested and individual tolerance levels. If you have high triglycerides, insulin, or blood pressure, or are a non-insulin-dependent diabetic, you may be at risk of experiencing adverse effects of fructose. Fructose doesn't absorb well, which may lead to potential problems related to changes in gastrointestinal function and bacteria profiles. 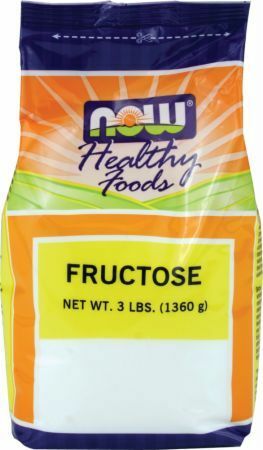 Fructose is sweeter than table sugar (sucrose) so less is needed, potentially saving calories. Fructose has a low glycemic index. The USDA doesn't differentiate between the sugar sources sucrose and high-fructose corn syrup. High-fructose corn syrup is a refined sugar that has empty calories, lacking vitamins, protein, and minerals. Most sweeteners are a combination of fructose and glucose. Avoid products that have more than 10 grams of sugar per serving. Children with symptoms of fructose intolerance should see a specialist in biochemical genetics or metabolism. If you have a family history of fructose intolerance and want to have children, consider genetic counseling and a fructose-free diet. Reducing dietary carbohydrate intake is the best way to avoid obesity, metabolic syndrome, and diabetes. Rather than banning fructose, some researchers are calling for an increase in physical activity, healthy eating habits, and other positive lifestyle changes. This page will contain price comparisons of these products to save you money - it's typically very cheap. If you can't tell, however, we strongly caution against using this as a carb source unless you are an extremely competitive athlete and really know what you're doing. Sign up for future Fructose news! Click the button below to sign up for future Fructose news, deals, coupons, and reviews! Subscribe for more Fructose news and alerts! Subscribe to PricePlow on YouTube or click the button below to sign up for our latest Fructose news and reviews!